Admission into the club is at the discretion of the committee. You must be the owner of a Genuine or Replica GT built from 1967 to 2016. Replicas must look the part i.e. GT stripes, badges, black-outs, V8 motor, shaker etc. All cars must be of a reasonably high standard. You must be the owner of an Australian made Ford built from 1967 to 1978. Falcon 500, Futura, Fairmont, Cobra, LTD, Fairlane and Landau. Sedan, Coupe, Ute and Station Wagon. You must attend at least 4 events (combination of runs, shows and meetings) a year to maintain an associate membership. 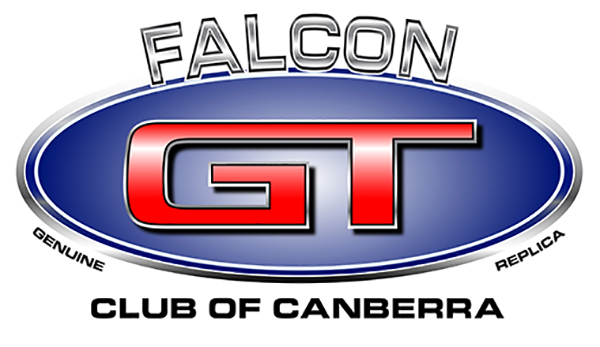 When you join the Falcon GT Club of Canberra, you will receive an exclusive key ring with the club logo on the front and your membership number on the back, club stickers and qualify for discounts on auto services and products from most club sponsors. Fill out the form on this site. Click here to fill out the online Form. Once this form has been received and your membership has been approved you will receive an invoice with payment details. Annual Membership Fee – $50 ($60 for a first time member).